When I was growing up in the 2000s, we lived in pretty much every condo building on Riverside Boulevard. My parents would buy preconstruction, live in the apartment for two years, sell it and save on capital gains taxes. Then we would move into the next one, and roll [the money from the sale] into building to building to building. I grew up telling my mom I never wanted to be like her. My mom is a real estate agent, and my stepdad was always a bit of an entrepreneur. But this was their job--finding properties that would appreciate in value. Was it traumatic? No. Was it annoying to visit someone on summer break and come home and have your mom tell the cab driver we were going to a different address? Yeah. But I got over it, and it was fine. The schools were always the same, the subway trip was always the same. I’m also not a person who clutters because of that. I can get rid of things really easily. I don’t attach sentimental value to garbage. Before I met my wife, I was living at a studio at John Street in the Financial District. I purchased that right out of college in 2009. It was a down market. The price per square foot was dirt cheap. People were looking for any offer. I bought it for $400,000-ish, and sold it for low $600,000s in 2013. The first property my wife and I bought together was a one-bedroom condo in Battery Park City, which we got in 2011 for somewhere in the $400,000s. It was a beautiful luxury building, but the developer had gone bankrupt and the building was foreclosed on. We heard about it from a contractor who was working on it. A hedge fund that wanted to get into real estate purchased it. To get the construction loans, they needed to get a few down payments. The competition was huge. There were 20 underpriced units, and all were in contract. We called the sales office 10 times until they said a contract fell through and gave us 24 hours to decide. My wife and I weren’t married at the time, but we thought this was the opportunity to live well and get in on an opportunity that we could afford. We took the risk of buying something together when we weren’t married yet, but also took a risk on the market. We didn’t know when we would close, and also there were no mortgage contingencies, which meant we'd have to walk away from our down payment if we couldn't get a loan. We put down 10 percent at contract signing and 10 percent when we closed. For us, that really gave us the ability to become investors. We sold 2.5 years later in the low $900,000s, at nearly half a million profit. We decided to take that equity and size up and keep building our capital. We looked for an investment property and found an opportunity in Dumbo. 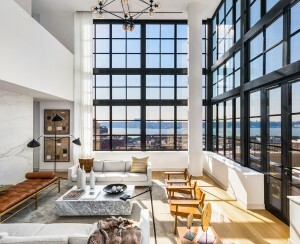 Every warehouse building was being converted to luxury condos and rentals. We saw this trend and realized if we can get into an existing loft it would be a good deal. Nobody builds new to sell at the same price. They build to sell much higher, which brings up property values overall. So if we could get in cheaper, then why not? My mom was always sending us interesting listings, and this was one of them. It was a loft that was all open with 18-foot ceilings. It had a second story with an extra 500 square feet of space, but only 200 square feet of that was usable, versus the other 300 which was more like storage. 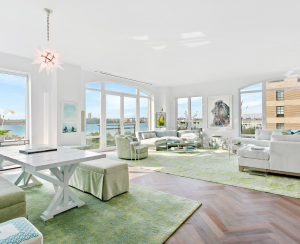 The price started at, like, $879,000, went to $799,000 and then at one point dropped to $699,000, so we assumed that the seller needed to get out of their apartment, and needed the money badly. The price per square foot was in the $700s, and similar properties were a touch higher. We bought it for $725,000. We tried renting it out for two months, but it wasn’t renting at the price we wanted. Then we got a buyer for our condo in Battery Park City, and said, “OK, we’ll close in two months and move to Dumbo.” We had talked about doing a renovation and got an architect involved. The estimate for the job came out to be $150,000 for a mediocre reno. For $150,000, I’d expect Viking this, Viking that, Waterworks fixtures. That’s what we had in Battery Park City. We put the Dumbo apartment on the market three months after moving into it. We had touched it up a little before we moved in. We painted it, added a new ceiling fan, a backsplash, new sink fixtures. We spent about $2,000 because we were thinking of the tenants who wanted to live there. We put our furniture in there. It looked a lot nicer than when it was being sold a year earlier. Between the staging and the new construction on the block, we were able to sell it for $969,000. We moved to the South Street Seaport and bought a two-bedroom condo for $1.2 million. I just bought a property last week in Bushwick to rent out. It’s a two-bedroom in a brand new condo building. Now is the perfect time to be looking at Bushwick. I see some of the trends in Williamsburg driving up prices of apartments up there. Restaurants are popping up and there's a massive art scene. Makes for a good opportunity to buy into the culture that's out there. We’re now looking into building a portfolio, getting other investors involved. We had a pretty successful run for the past few years. We want to translate that success into something that’s a little bigger than us moving around. We don’t want to move every year. The biggest surprise was how much money you can make while living really well. What we realized was you can build financial success by investing in where you live. To us, that’s become part of our core ethos. There’s people who kill themselves to live nice and then there’s people who just use their head a bit and can also do it. The other surprise is the stress of moving. It’s tough sometimes to feel settled when you’ve moved around a bunch. But that’s not different than a renter moving from place to place. Not everyone can do it right this second. You need a down payment. You need to be mortgageable, meaning that you have cash flow from a stable job. And you need to have the discipline to save money. Do most New Yorkers save their money? No. Can this work for every New Yorker? No. But if you have the discipline--making sure your credit’s in check, your loans are paid off, making sure you save a little bit every month. The government has a lot of incentives to get you to buy, like FHA loans. Maybe a 5 percent down payment is still too much for you in Manhattan, but maybe something in Queens. Look for construction, that’s number one. A lot of people avoid areas where there’s a lot of construction because they don't want to live near it. But generally, it means there’s a lot of infrastructure being built, which means an increase in property values. Number two is, don’t be afraid to go out of Manhattan. There’s a lot of snobs who won’t even go out of their own neighborhood. There are parts of the city that are really cool but are a little longer of a subway ride. The market moves faster than the rate that people can save at, so people need to think of how they can lock down an opportunity, even if it means going outside of the traditional neighborhoods. Don't look for perfect. It will cost more than you can afford and will keep you from being decisive. 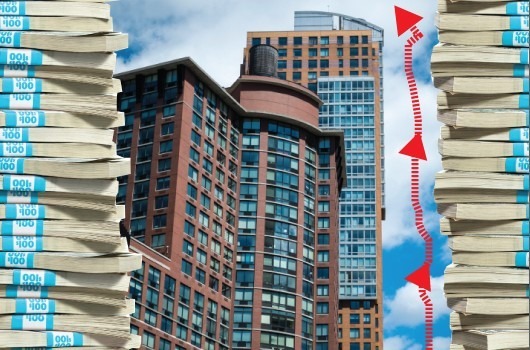 Is $500,000 enough to buy a good investment property in Manhattan?